Made from Ultra High Molecular - Weight Polyethylene Fibre which has a tensile strength relative to its weight and is up to 15 times stronger than steel. Makes the glove lighter and allows for greater comfort and dexterity. 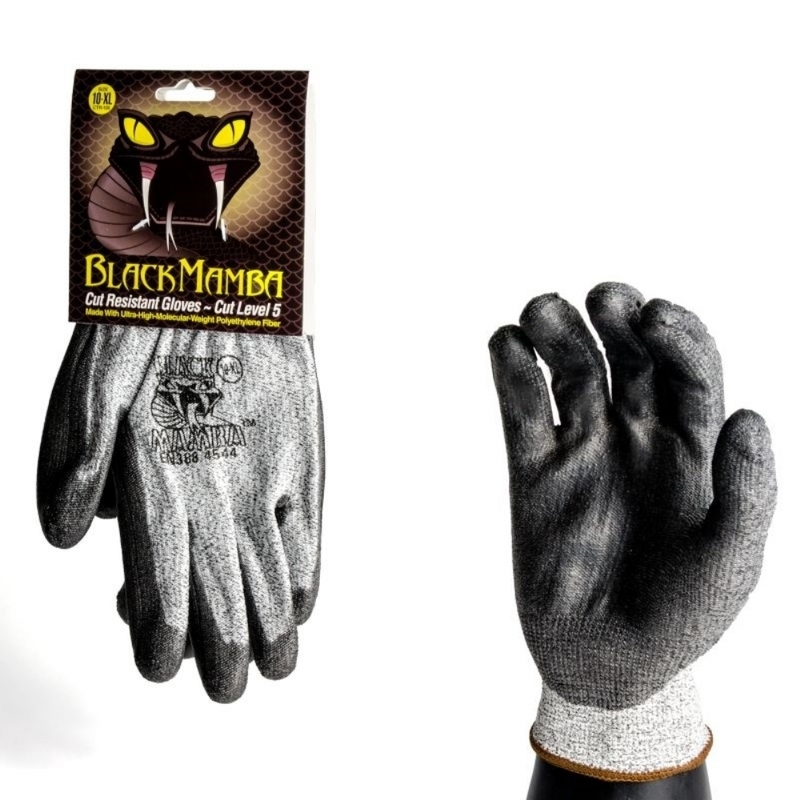 A black polyurethane coating ensures superior grip and additional protection while at the same time allowing your hand to breathe.